I usually associate pubs with mediocre bar chows disguised as good food under dim lights. With such impression, I hardly visit pubs. 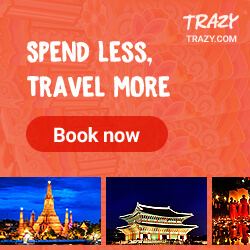 But spending time with friends in one isn't such a bad idea. And so, I found myself spending late afternoon at Skippy's Gastropub with some of my favorite foodies. This Australian gastropub has been a popular drinking joint by several yuppies around the area. I've never seen it empty from the past couple of years I've been working in BGC. Though I've seen Skippy's since 2015, it was only a few weeks ago when I've finally step foot inside this sports bar. I was surprised with the food selection here. This place definitely offers more than just bar chows. 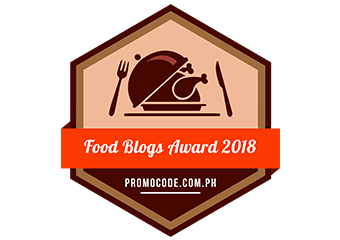 It offers burgers, steak, pizza, pasta, and even local favorites like sisig and crispy pata. They even offer salad for those who are watching their calorie intake! 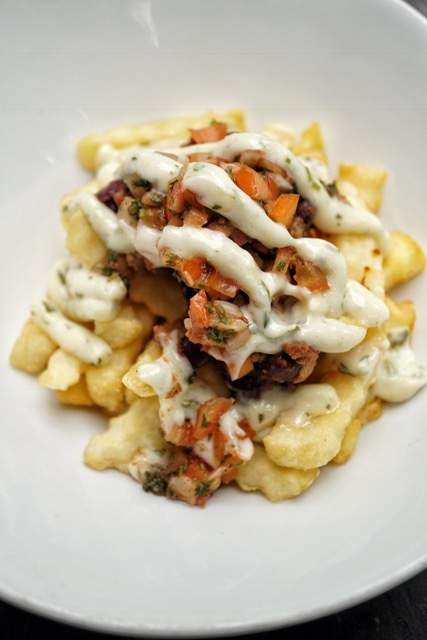 I first tried Fries Overload which is topped with generous serving of sour cream, salsa verde, ground meat and beans. Chunky from the toppings, the fries remained crisp and not soggy at all. It was a nice way to start your meal. Two hefty breakfast platters--English and Continental were served next and both were equally filling if not belly bursting! 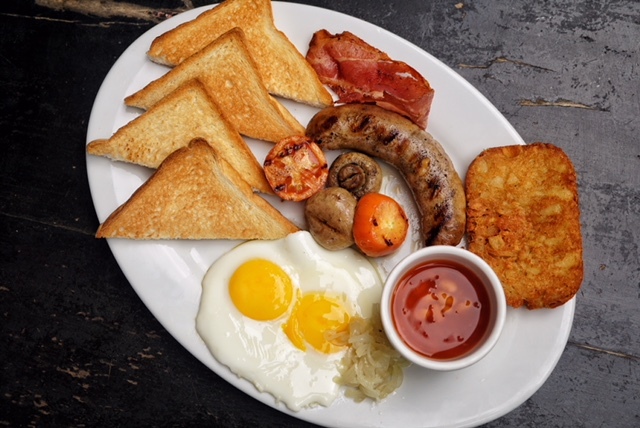 The English Breakfast comes with two fried eggs, hash browns, sausage, bacon strips, pork and beans and toasts while Continental has bacon strips, ham, fried eggs, beef steak (tapa), tocino, bowl of salad and toasts. 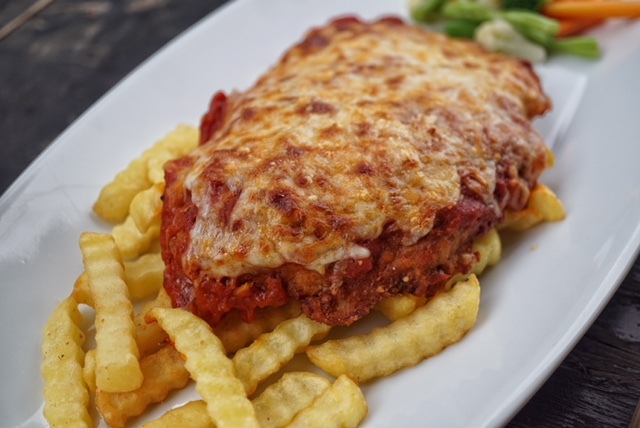 Chicken Parmigiana (PHP450) is one of the dishes I enjoyed at Skippy's. Topped with tomato and cheese thick sauce, each bite was bursting with flavors. I also love that it comes with fries. A plate of this is good for sharing but I could also easily finish one on my own. If you prefer something more filling, you might want to try Skippy's Aussie Burger (PHP580). This double patty burger sure is bang for the buck. 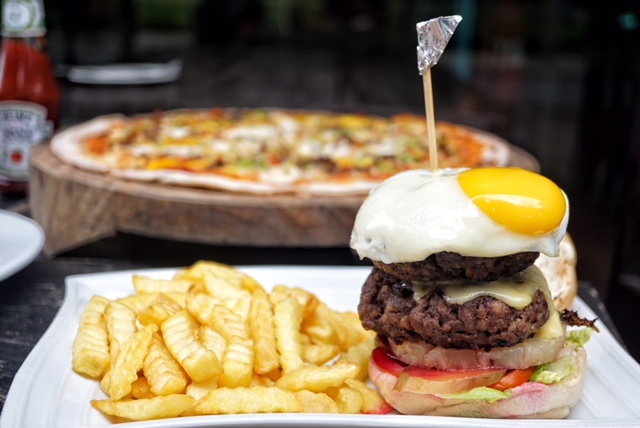 Made with homemade burger patties sitting on fresh greens, topped with sunny side up egg and served with fries on the side, you'd easily get your fill with just a couple of bites. The patty may tend to be a bit dry with its thick size but it's nothing ketchup and mayonnaise cannot solve. 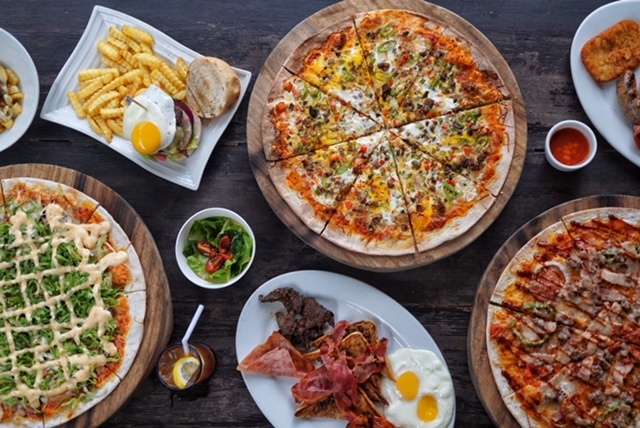 If you're visiting Skippy's with friends, do try its pizzas. 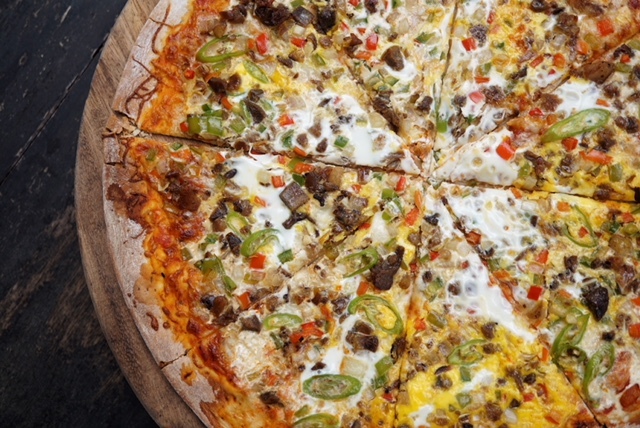 Sisig Pizza (PHP550) sure was tasty. It had a mild hint of spice which serves as a great dish with beer. The slight chewy texture also made it even more enjoyable. I also like that they topped it with egg! 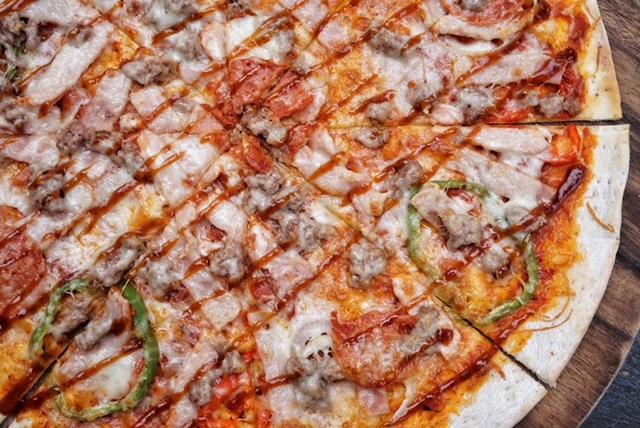 Meat Lovers Pizza (PHP500) is quite similar to other pizza chains' overload. Topped with all sorts of meat like pepperoni and ham, each bite was indeed meaty and flavorful. 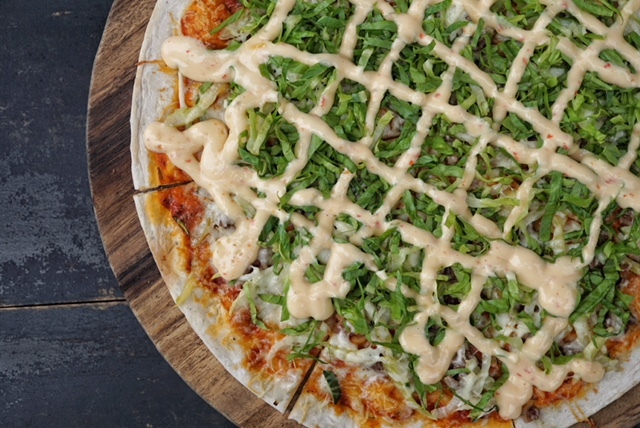 But if you prefer something different and spicy, give its Shawarma Pizza (PHP500) a try. I wasn't able to try this though as everyone told me that it is packed with heat. 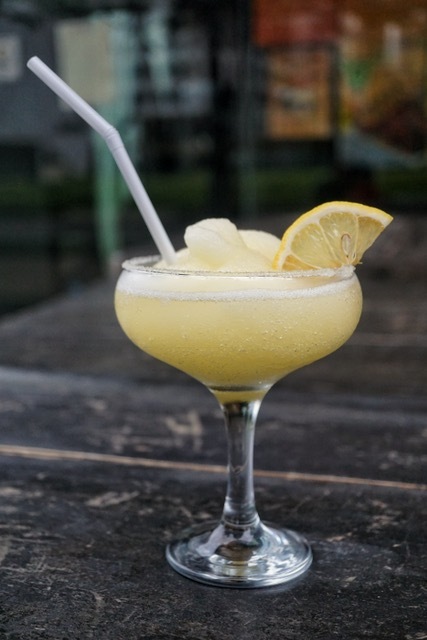 Instead of beer, I had unlimited Classic Margarita which Skippy's offer for just PHP299 during happy hour. Quite value for money too as this popular iced drink was not watered down at all. Though food, drinks and service was good, there's room for improvement in terms of cleanliness. There were just too many flies in the al fresco area and there were some mosquitoes inside. I heard that Skippy's have great wings. I'll most likely try that next time! 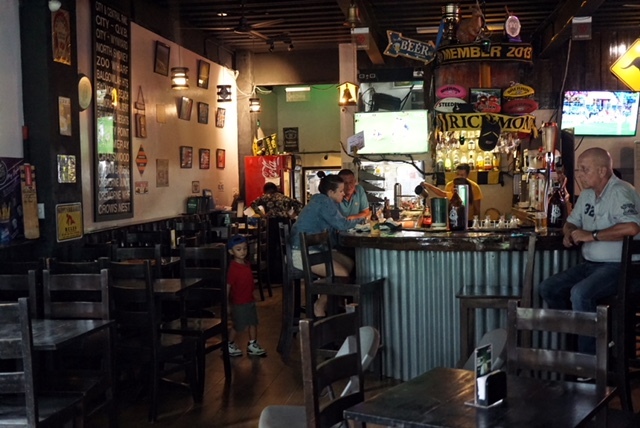 Skippy's Gastropub is located at Ground Floor, South of Forum, 7th Avenue corner Federacion Drive, Fort Bonifacio, Taguig City.